On this trip to Iceland, you will have the opportunity to explore icebergs, hot springs, and volcanoes as they are plentiful in Iceland and are the main focus of this escorted Iceland tour. Join our group and discover how Nature's forces are shaping the world in its most primal state. Lava fields, volcanoes, and the history of Icelandic eruptions will surprise you while accompanying you on your holiday through this magical country. 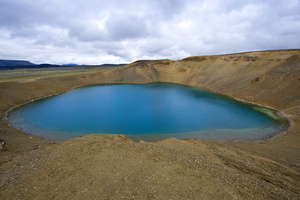 Your Iceland tour begins with stay in Reykjavík. If your flight lands early in the day we recommend taking the time to explore Reykjavík, the largest municipality in Iceland. Ingolfur Arnarson, the first settler of Iceland built his farm on the peninsula where Reykjavík stands today. The town got its name “Smoky Bay” after the columns of steam that rose from the hot springs in the area and made such a deep impression on the first settlers. In the evening you can choose from multitude of restaurants and/or coffee-houses to get better acquainted with Iceland's capital. Breakfast at your hotel. 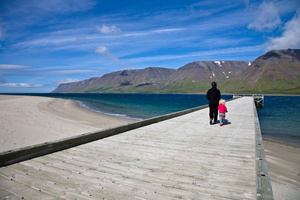 Take the ferry back from the Westman Islands and travel further on along the south coast. Pass numerous glacial rivers en route to Skogafoss waterfall. 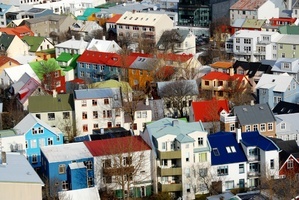 A famous folk museum is nearby, showcasing the buildings and daily life of Icelanders in the past centuries. Continue on to the black sands of Reynisfjara beach. Here you can witness the powerful waves and amazing basalt column features carved by the power of the sea. Dinner and overnight stay in Vik area for the next 2 nights. We cross Eldhraun, the largest mass of lava ever to flow on the face of the Earth before reaching the small town Kirkjubaejarklaustur, a former site of a 12th-century Catholic convent. Onwards to Skaftafell National Park, one of Iceland's most outstanding areas of natural beauty. We continue to the stunning Jokulsarlon Glacial Lagoon to see floating icebergs and possibly curious seals. Throughout the day we enjoy magnificent views of the mighty Vatnajökull Glacier. Back to Vík. Dinner and overnight in Vik/Kirkjubaejarklaustur area. Breakfast at your hotel. Start with a visit to the new Lava Centre, an interactive, high-tech educational exhibition depicting volcanic activity, earthquakes and the creation of Iceland over millions of years. 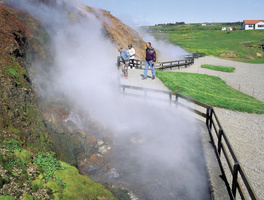 Afterwards, head for the Geysir hot spring area to see the famous great Geysir as well as Strokkur, a hot spring that spouts every few minutes. Travel onwards to Gullfoss, one of Iceland’s most impressive waterfalls. The next stop is Thingvellir National Park, where the Viking-age parliament met for centuries on the shores of Iceland’s largest lake. This is also where you can see the meeting point for the European and North American tectonic plates. After some time to explore Thingvellir, head back to Reykjavik. 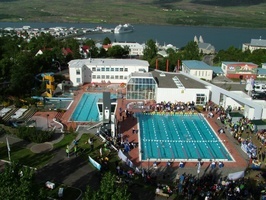 Overnight stay in Reykjavík. Dinner is on your own. Today marks the end of your Iceland tour. If you did not visit the Blue Lagoon on your arrival day, you might use the opportunity to stop there now on your way to the airport. Note: Transfers to the international airport are not included. We really enjoyed the tour that we were on. We did not have enough time at several of our stops to enjoy the full experience and the days were long, but I'm not sure what could be eliminated to free up some time--perhaps a couple of the beach visits. 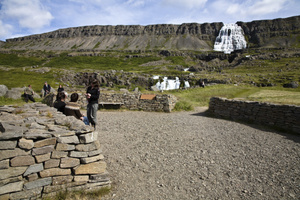 In any event, we are very pleased that we booked the tour and very satisfied with our experience in Iceland. I just wanted to let you know how much we enjoyed our trip to Iceland last week. Oli was a very knowledgeable and personable guide, and Pieter was an excellent driver. Our accommodations were comfortable and clean, and the food was great. Even the weather cooperated! Iceland is a beautiful country with very friendly people. We hope to return some day to see the northern areas. Thank you for all of your help in making this a wonderful family trip! Hello Dora, I wanted to let you know that our trip to Iceland was wonderful! The Air Travel, Volcanoes & Glaciers Itinerary, Tours, Escorts/Guide, & Lodging/Accommodations were EXCEPTIONAL on every level! :) Icelandair flights were comfortable (Comfort is a good choice especially on the longer return flight) & flight attendants were pleasant. Keflavik airport is undergoing renovations that contributed to lengthy wait times in hallways prior to boarding but overall they moved the people efficiently (the Icelandair Lounge in Kev was outstanding. Icemandair utilizes United Lounge in Denver...adequate but no comparision to Kev Lounge) The land tour included just the right amount of site-seeing by bus & walks/physical activity. Our Tour Guide "Steiny" was knowledgeable and attuned to the needs of the group. The group of 16 included a nice international mix of adults of all ages. 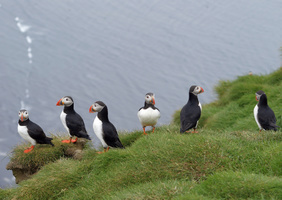 Our lodging at the Natura in Reykjavik & all the Icelandair countryside hotels surpassed my expectations. The accommodations were contemporary, simple, and clean & included WiFi & TV. Hotel staff were gracious and the meals were excellent. Adding a visit to the Blue Lagoon ( a "must see") at the beginning of the trip was a good choice for us, but it would have been a good end-of-trip activity as well. I only wish that we had added an extra day in Reykjavik because there was much to see. The hotel provided a free bus pass which was very useful. Thank you for coordinating the logistics with Iceland Travel...I would definitely recommend this tour to first-timers to the country. Optional tours are booked with the guide upon arrival. Rates are subject to change at any time. Children rate: Children 6-11 years old travelling with 2 adults and sharing 1 DBL room: 25% discount (valid only per 1 child). Children 12 years and older pay full price as adults. It is not recommended that children 0-5 years old travel on scheduled tours.